Calculate Your Body Mass Index! Body mass index (BMI) is a measure of body fat based on height and weight that applies to adult men and women. Enter your weight and height using standard or metric measures. 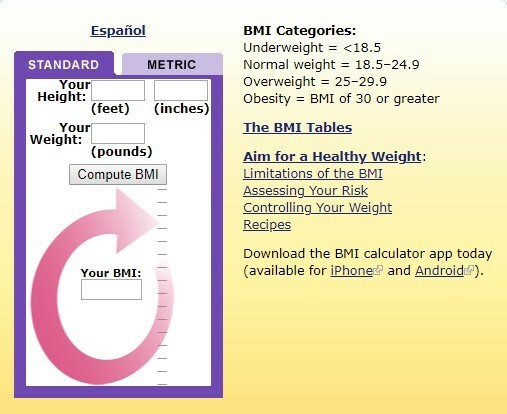 Select "Compute BMI" and your BMI will appear below. Thank you for subscribe us!